This page will list all the pages documenting the various blessing ceremonies made for amulets and statues. 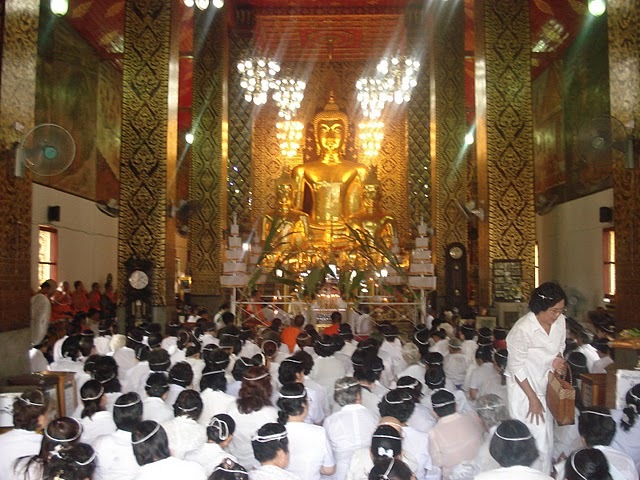 Putta/Tewapisek Ceremony for Ruesi and other Deity amulets and statues at Wat Bang Bon, Bangkok. Puttapisek Pra Pid Ta Pang Pagan Maha Mongkol Jakrawan – Jatukam Ramathep empowered Pid Ta amulets made by the original creator of the Jatukam Amulet himself – Khun Pantaraks Rachadej. Puttapisek Ceremony for Run Maha Baramee Prataat Chedi 2553 Pid Ta and Khun Phaen amulets (by Laymaster Ajarn Somrach, Chiang Mai), and Luang Phu Chern (Wat Tab Ee, Buriram). 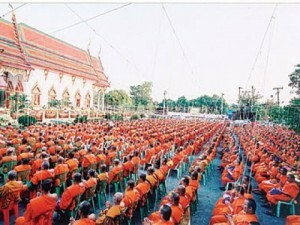 Puttapisek Empowerment Pra Khun Phaen Ban Krang Run Sao Ha – Wat Kae (Supannburi). Puttapisek Blessing for Pra Kring Bua Rorb amulets (Luang Phu Nam Wat Noi Chompoo) at Wat Kae on Tuesday 26th October 2553. Putta Pisek 25 Sadtawat 2500 (the 25 centennial grand blessing ceremony in 2500 BE which was the third biggest ever ceremony in Thai History) (Coming Soon). 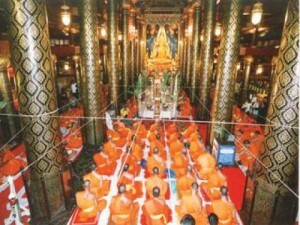 Puttapisek Empowerment Ceremony or Pra Luang Por Ngern Thai Amulets at Wat Tay Nam. Puttapisek Empowerment Ceremony Run Song Nam 2553 edition amulets by Por Tan Bun Hai – Wat ta Muang (Nakorn Sri Tammarat).